Having finally seen the Android 2.3 Gingerbread release happen, I can't tell you how happy I am. All I can say is that this is better than Christmas and New Year's Eve combined! 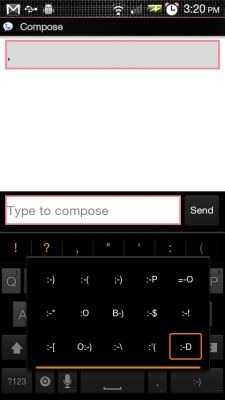 Amidst all this holiday spirit and joy in the air, one amazing person (Peter Alfonso of Bugless Beast) has already ported the Android 2.3 keyboard to rooted 2.2 devices. Be sure to thank him kindly for the following Android 2.3 keyboard port.